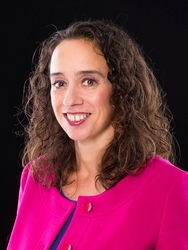 Renáta Bláhová is founding partner of BMB Leitner in Bratislava, Slovakia. She has 20 years of experience in tax and accounting law, specialising mainly in Slovak and international tax law, direct taxes, transactional services and M&A. Renata graduated from Slovak University of Technology, studied at SLU in the United States (MBA) and at Vienna University of Economics and Business Administration (LL.M. in international tax law). Besides holding Slovak licences for auditing and tax advisory, Renata is also a certified FCCA accountant (UK). She regularly publishes articles and commentaries on the latest tax law developments in professional literature, is co-author of a number of tax law books for professionals and is often invited to speak at international conferences, seminars and workshops. Renata is president of the Slovak branch of the International Fiscal Association, a member of the Methodical Commission for Direct Taxes at the Slovak Ministry of Finance and chair of the working group Law and Taxes at the Slovak-German Chamber of Commerce and Industry. Stefaan De Baets is Senior Counsel Transfer Pricing with PwC Belgium since 1 January 2016. From 2011 to 2015 he was Transfer Pricing Advisor at OECD. From 1996 tot 2010 he was transfer pricing expert with the Belgian Tax Authorities and representative of Belgium at Working Party 6 of the Committee on Fiscal Affairs, OECD. From 2003 to 2010 he was the Belgian Representative to the European Joint Transfer Pricing Forum. He is regular lecturer at the Universities of Leuven (Belgium), Lausanne (Switzerland) and the Ecole de Mines (France) on transfer pricing and international tax. After a successful graduation from the University of Economics in Prague, Hana Brothánková continued with a post-graduate program “Administration des Entreprises”, obtaining the DESS C.A.A.E. diploma, which is a French equivalent of the MBA, in 2002. She has been a member of the Chamber of Tax Advisors since 2002 and has specialized in the area of corporate income tax, due diligence, advisory on company’s transformations and international taxation. In Grant Thornton Czech Republic, she is responsible for the transfer pricing issues and leads various transfer-pricing projects for multinational companies operating their business in different areas, such as manufacturing, IT, logistics or transportation. Hana Brothánková also prepares clients’ workshops and gives lectures on transfer pricing issues. She recently participated in the Global Transfer Pricing Conference „Transfer Pricing developments around the World 2018“. Gabriela Hrachovinová graduated in economics at University of Economics in Prague in 1992. In 1993 she completed her postgraduate program in business law at the Charles University in Prague. She graduated in international tax law and obtained a LL.M. degree from the WU Vienna University of Economics and Business in 2009. She had been working with responsibilities mainly for finance, accounting, taxes and controlling on the level of top management for 20 years in multinational companies running their business worldwide. She was further more an active member of the international tax board at Europe´s largest shoe retailer from 2012 to 2016 with focus on transfer pricing, VAT, corporate income tax and took part in a pilot project of horizontal monitoring in Austria. Gabriela is a tax advisor at the Chamber of Tax Advisers of the Czech Republic, an expert witness, a certified professional accountant and in Germany certified coach and trainer. Vítězslav Kapoun General financial directorate of the Czech Republic. Andrea Lee is originally from Czech Republic, where she studied university of economics, followed by postgraduate in international taxation in Vienna. She spent the first nearly 15 years in consulting industry, working for Horwath TPA and Deloitte around the world, including places like Shanghai, HoChiMinh City or Brussels. Andrea specializes in TP of financial transactions. Thus, when the opportunity presented itself, she joined Erste Bank in 2014 as head of TP. Since then she had different roles, currently as Head of Group cost and project controlling but still keeping the responsibility for TP. Lenka Lopatová has worked for Moore Stephens since 2015. She has more than 15 years experience in accounting and taxation. She worked for the Tax Office for the Plzeň Region as methodist for transfer pricing and international taxation. Further she was responsible for the direct cooperation with the Bavaryan and Saxon´s financial administration. She has practice in tax controll focused on cross-border transactions. She speaks Czech, English and German. Danuše Nerudová is Rector of Mendel University in Brno and Head of the Department of Accounting and Taxes, Faculty of Business and Economics. She graduated from Mendel University in Brno in 2002 and since then she has been working in the Department of Accounting and Taxes as scientific staff. In 2017 she was appointed as professor in Finance. The results of her research have been published by Springer, Wolters Kluwer, IBFD and Cambridge University Press publishing houses, as well as reviewed papers in scientific journals and expert press. She translated Commentary to the OECD Model Tax Convention into the Czech language for the first time in history. She is the author of several monographs and textbooks in the area of international taxation. 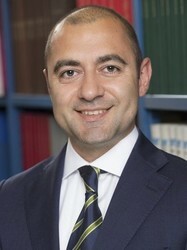 Raffaele Petruzzi is Managing Director of the WU Transfer Pricing Center at the Institute for Austrian and International Tax Law at WU (Vienna University of Economics and Business) and an international tax advisor specializing in international corporate taxation and transfer pricing at L&P Global (Vienna) and L&P - Ludovici Piccone & Partners (Milan). Since 2007, Raffaele has gained extensive experience in dealing with topics related to international corporate taxation and transfer pricing, both from a professional and an academic perspective. 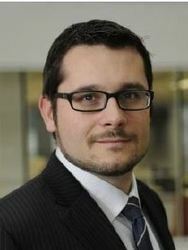 From the professional perspective, Raffaele has gained relevant experience in advising clients on specific topics (e.g. international tax issues and transfer pricing issues related to services, permanent establishments, financing, business restructuring, intangibles, and indirect taxes), international tax and transfer pricing risk management and compliance, drafting and reviewing intra-group agreements, and optimising international tax structures. From the academic perspective, he is a frequent speaker in international conferences and lecturer of numerous courses (amongst others, in Brazil, Bulgaria, China, Cyprus, France, Germany, Italy, the Netherlands, Poland, Romania, Serbia, Singapore, and Spain), as well as author of many publications on international tax and transfer pricing topics. Moreover, Raffaele regularly cooperates with professionals in advisory, the business community, governments and international organizations (e.g. OECD, United Nations, World Bank Group, European Union). Finally, amongst others, Raffaele is a member of the United Nations Subcommittee on Article 9 (Associated enterprises: Transfer Pricing), of the International Fiscal Association (IFA), and of Transfer Pricing Economists for Development (TPED). Raffaele holds a Master of Science degree in Business Administration and Law (major: Corporate Taxation) at Bocconi University (Italy), a Master of Laws degree (LL.M.) in International Tax Law at WU, and a Ph.D. in International Business Taxation at WU. Veronika Solilová graduated in economics at Mendel University in Brno in 2007. In 2010 she completed her postgraduate program in Finance at Mendel University in Brno. Since 2007, she has been working as the scientific staff at Mendel University in Brno – Department of Accounting and Taxes. From the academic perspective, she focuses mainly on transfer pricing, international taxation, C(C)CTB, financial transaction tax and fair, sustainable, and coordinated tax and social policies. She is an author and co-author a few articles, monographs published by Wolters Kluwer, IBFD publishing houses and in other journals. She was/is also a team member a few international research projects. Matěj Vacík is an EMEA transfer pricing leader of Doosan Bobcat, an industry leader in the engineering, manufacturing and marketing of construction equipment. 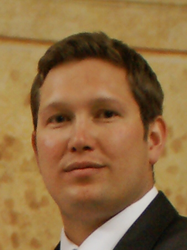 Matej has over 12 years of transfer pricing experience in a Big 4 advisory firm and in the industry. During his career Matej spent 4 years working in the United States and Spain. Matej has an extensive experience with transfer pricing compliance and planning projects such as preparation of transfer pricing documentation, transfer pricing audits, advance pricing agreements, intellectual property transactions, intragroup financing and international restructurings. Matej is also a member of the Czech Chamber of Tax Advisors. Igor Wotke recently assumed the EMEA TP manager role in Honeywell to subsequently overtake the role of global TP manager in the spun-off Garrett. In his role, Igor has been managing the TP compliance, advisory and controversies namely in the EMEA region and overseas; his role is also pivotal in the post-BEPS implementation of TP strategies and processes. Prior to join Honeywell, he spent 7 years in two of the big4 tax advisory firms (Prague practices) including a 1.5 year secondment to PwC Canada (Toronto). He also used to work as a TP specialist for the German HQs of Siemens in his early (post graduation) career. 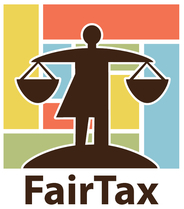 All over his professional life, he has been focusing on TP aspects of international taxation. Igor obtained his Masters in Economics from University of Economics, Prague (Major: International Trade Minor: Banking & Monetary Economy) and a CEMS MIM (joint degree from alma mater and Université Catholique de Louvain-la-Neuve).